Pic Collage is a free app where students can create a virtual corkboard. This works as a great tool to present vocabulary. Students can import images from their camera roll, or the site has an imbedded internet search for images which is incredibly helpful. And you can add fun “stickers” for decoration. You can then add text. To the right is a picture posted by Jiménez es con Jota for school supplies. I created the below image for Fruit vocabulary in less than 8 minutes. I saw this image circulating around Pinterest from Tiempo De Español and it got me thinking. What a fantastic way to practice labeling vocabulary! I have my students create their own monster for body parts, but how easy would it be for students to label their own picture for any unit? For the body part unit, they could find a picture of their favorite cartoon character and in less than 5 minutes have a visually stimulating vocabulary list. You can edit photos by adding text, circling, highlighting and more with the free iPad app Skitch. This will only markup images. You need a premium account to be able to markup PDFs. What are some of your favorite Apps to use with Vocabulary? Share them in the comments below! And come back later to SpanishPlans.org where a future post will be about using apps for communicative purposes! 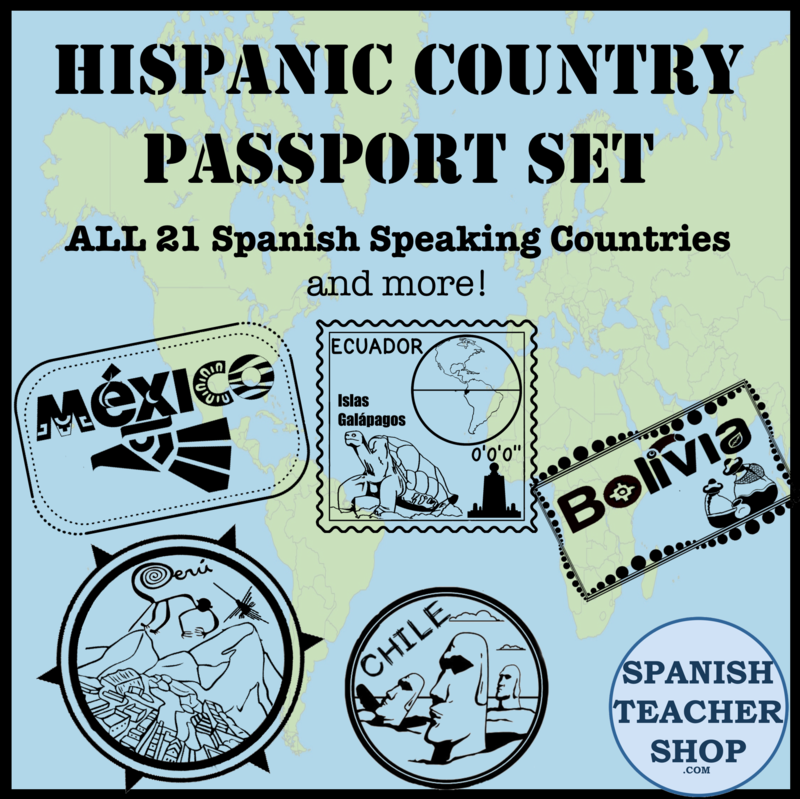 In the meantime, check out our other iPad resources for Spanish class. 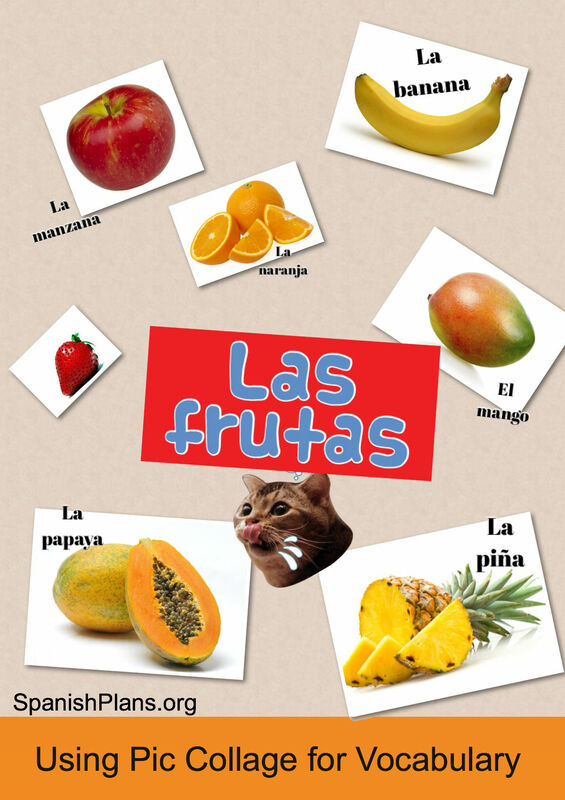 This entry was posted in iPads, Vocabulary and tagged apps, food vocab, iPad, partes del cuerpo, vocabulary. Bookmark the permalink. A paid app that might interest you is Stick Around ($2.99). You can turn those labeling pictures into playable puzzles. After students draw or import a background (which could be from Pic Collage or Skitch), they then add sticker labels to the background and make an answer key, telling the app where those stickers belong. When played, the stickers are in a tray and the player drags the stickers onto the background. Clicking the Check button will tell the player if the stickers are in the correct locations. I LOVE this app! We also use it to make ads, posters, visuals for presenting and more. Their favorite vocabulary assignment was taking pictures of themselves expressing different emotions, then labeling them (like those “how do you feel?” posters) I picked my favorites to hang by the door so they greet me with more than “I’m good” everyday.